Get them now through our official Merch Sponsor Loser Machine Co. http://www.losermachine.com/collections/born-free If you want to ride your motorcycle into the show and park on the grass you need a BF8 Grass Pass. 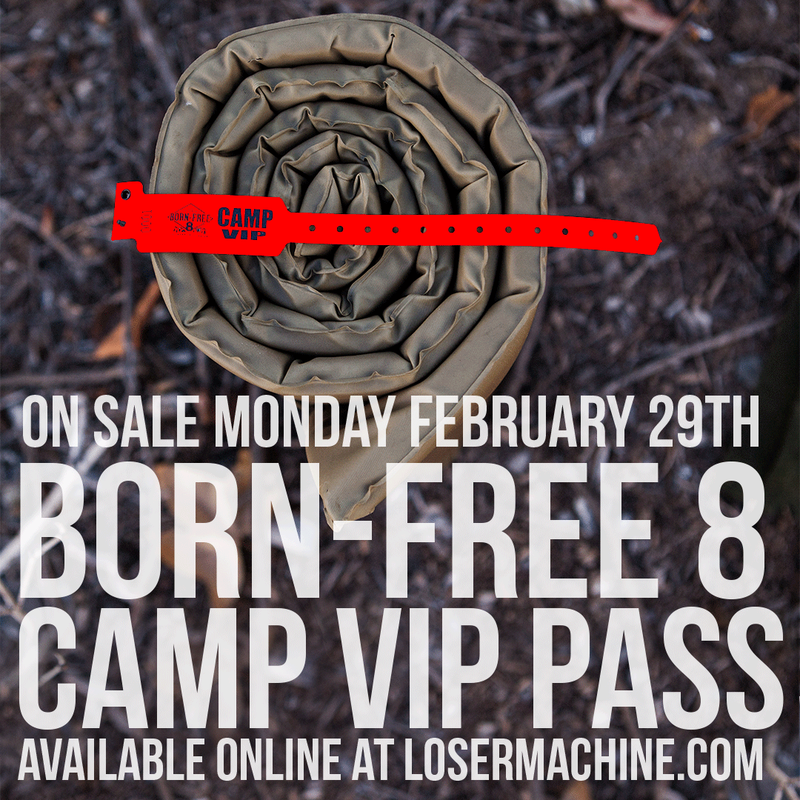 If you want to Camp Born-Free you need a BF8 VIP Camp Band. If you choose the Camp band it will act as a grass pass and covers your 2 day admission to the show. 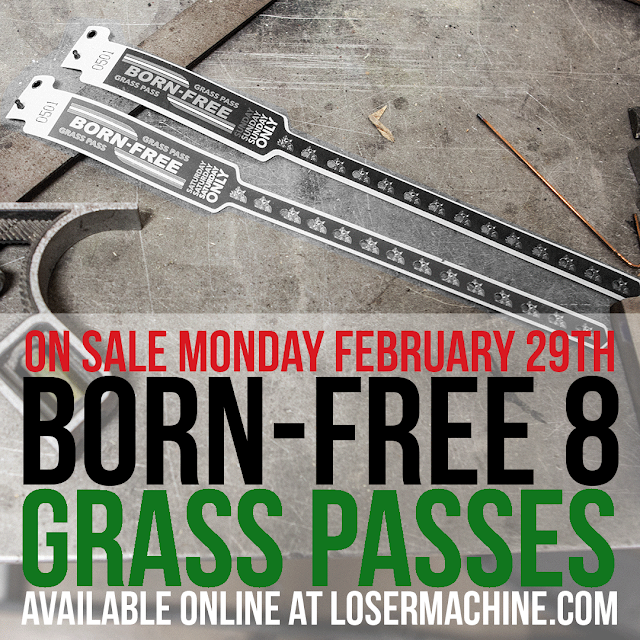 We have a limited number of each band and will sell out.